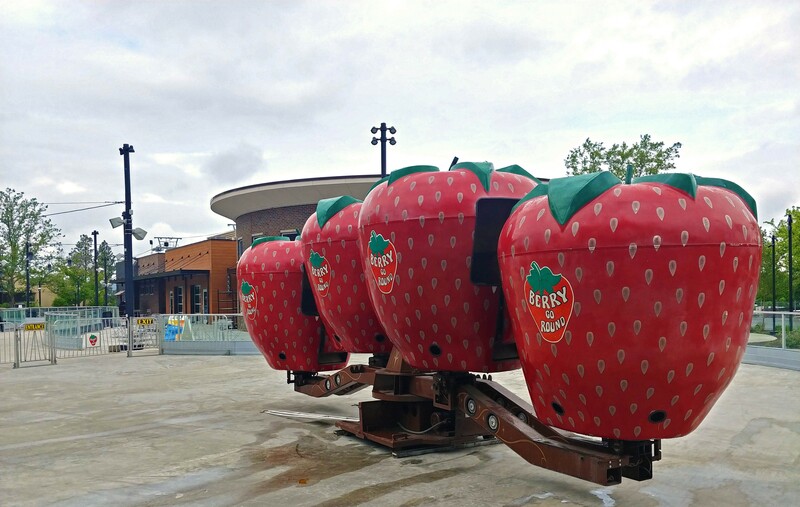 We have some "berry" good news for fans of either amusement park rides or fruit-related wordplay: The classic Riverfront Park "Berry-Go-Round" ride is returning. It's sitting in the middle of what, in the winter months, is the pond for the Ice Ribbon. While the Riverfront Park will continue to use the rest of the ribbon for roller skating, the parks department is exploring other ways the ribbon can be used in the summer months. "We’re trying to find multiple uses for the space," Spokane parks department spokeswoman Fianna Dickson says. Normally, you have to take years of figure skating training and practice to pull off an effortless camel spin and flying-sit spin on ice skates. But now, all we have to do is wait until summer, pay the $2 ticket fee, sit down in a giant strawberry and let it do the spinning for you. The Berry-Go-Round will open on Memorial Day. Depending on how popular the ride is, it could last through the entire summer. The fate of the Berry-Go-Round, and of other rides, has been up for debate though. For a long time, the Spokane Park Board had considered simply demolishing the older amusement park rides. At a presentation before the Park Board a year ago, current Riverfront Park Director Jon Moog summarized the challenge for many of the rides. But some advocates, including former Riverfront Park Director Hal McGlathery, argued passionately for at least keeping some of them. "A lot of people think the rides are tacky, they're 'carnival' — that they're not classy enough for the park or for the Pavilion," McGlathery told the Inlander in 2016. But he argued that, properly maintained, they could make money. He urged moving the rides to the North Bank instead of trashing them. Ultimately, Dickson says, the Park Board was persuaded to try to keep some additional low-cost options for families. "The Park Board felt that the rides were an important piece to offer," Dickson says. "We know they’re not going to be a major revenue source for the park, but it’s important to offer affordable family entertainment." Most of the other rides were sold off. 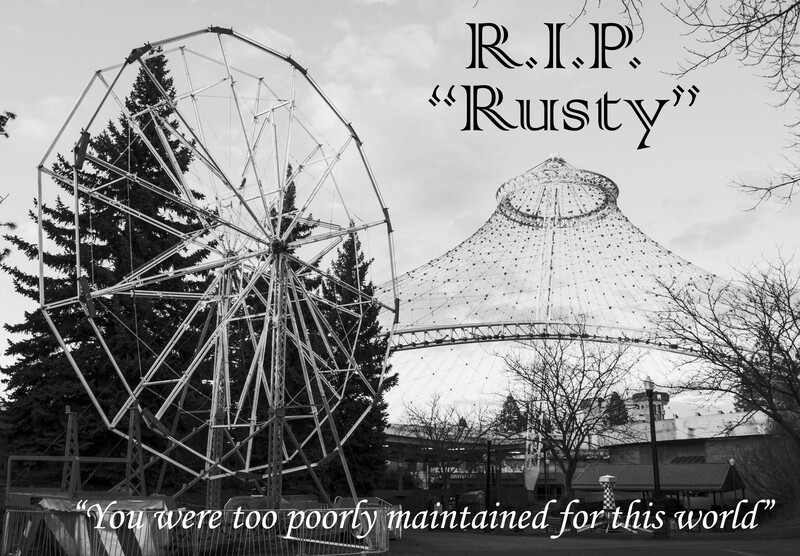 As for the Spokane's beloved "rusted" Ferris wheel (star of that Guardian article on Spokane)? It was in terrible condition — missing paint, lights and hydraulic rams. It was a lost cause. To deconstruct the Ferris wheel to sell it would require special equipment. The time and rental costs of that equipment would have been more expensive than the resale value of the wheel. So it was demolished. Goodnight, sweet prince, and may flights of hand-holding junior high kids sing thee to thy rest.